Stumped on what to give your clients for the holidays? Custom laser etching can be a great way to keep your company’s name in the forefront of their minds. Giving your clients a cool gadget for the holidays needs to have a purpose. 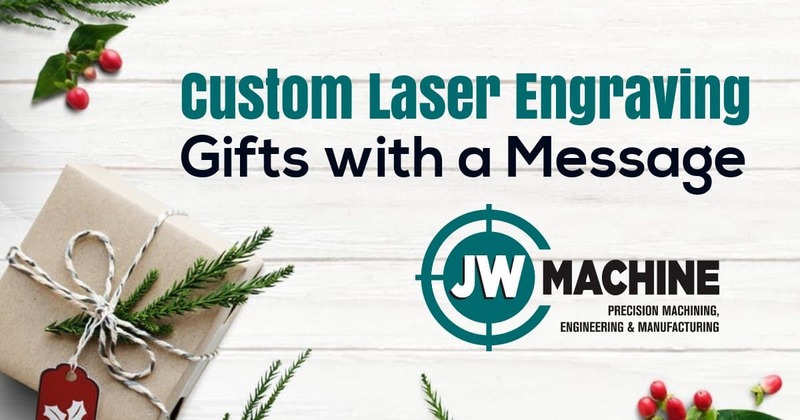 Laser engraving your logo, a phrase and/or their name on a gift not only makes it memorable, but keeps you front and center when they need your product or service. Here are some quick laser engraving ideas for the holiday season. One of the best gifts a friend of ours received from a client was a multitool with the personal touch of laser engraving their name on one side and the company name and logo on the other. A simple, cost effective laser etching not only personalized the gift, but left a message our friend has carried in his pocket for years! With the recent focus on the environmental impact of disposable plastics, a coffee cup, water bottle or thermos with laser engraving makes an excellent and memorable gift. Laser engraving their name on it makes it personal, laser etching your brand on it keeps your message in their hands for years to come while sending an equally powerful message you are environmentally conscious. If you are considering customizing a promotional product and are looking for laser engraving, Orlando has the best CNC machine shop with laser engraving and laser etching services. Call JW Machine today!